Free pattern download of Gradient Lace Jacket Kit with every purchase! Gorgeous 5 skeins kit creates a beautiful Ombre Shawl. Pattern is via download on labe. 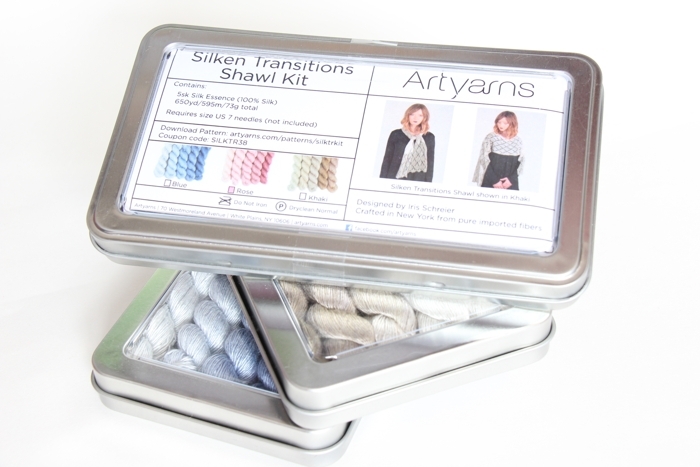 The Silken Transitions Shawl Kit has everything you need to make a shawl, except for the needles (size US 7). 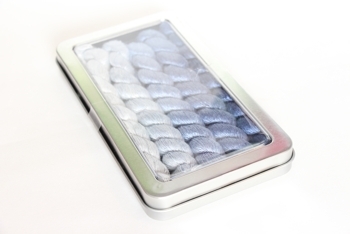 It comes in a gift ready reusable tin packed with 5 shades of Artyarns’ most luxurious hand-dyed Japanese silk and an exclusive pattern. 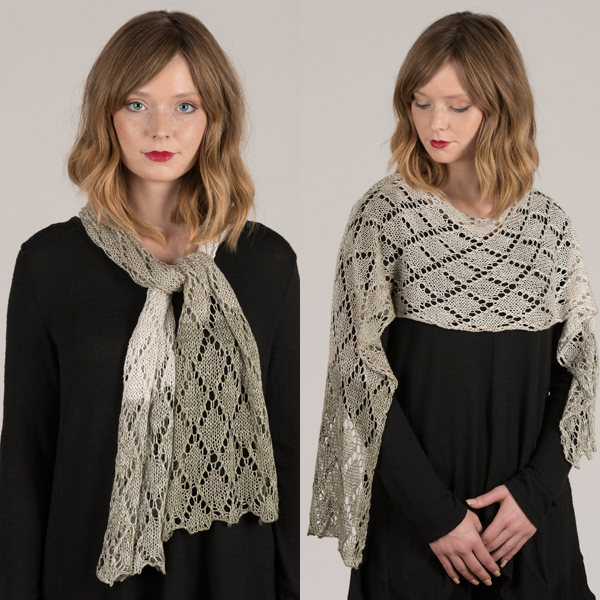 The finished shawl, measuring 59″ long by 10″ wide, features a diamond lace design that will add a touch of glamour to any outfit. 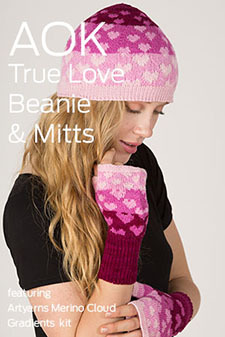 ADDI TURBOS are great for knitting with Silk Essence!! 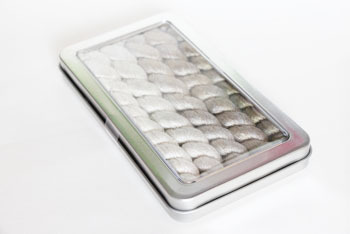 Uses 1 gradient kit in fushcia + 1 skein of Silk Essence in Charcoal! The Gradient kit is part of what you need to knit the above cowl - It features the kit + one contrasting color of Silk Essence. Shown Above is, the FUSCHIAS kit with CHARCOAL 264 in Silk Essence! 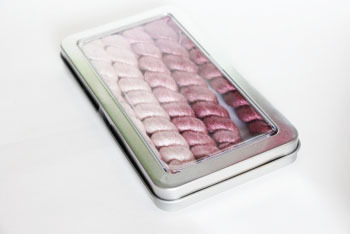 Buy your kit + one skein of Silk Essence to make wrapped for winter - included as a download with your Transitions Purchase!